I planted one of my Raised Vegetable Garden Bins with Zucchini this year and have been enjoying my harvest for about 3 weeks now. 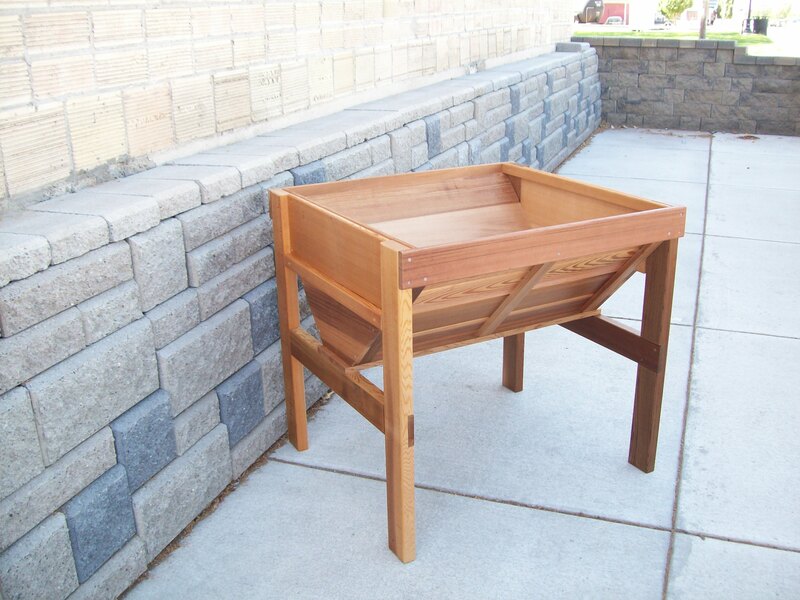 The plant loves the climate of the bin and has been producing an abundant crop. It grows over the side of bin so that the zucchini is easy to pick. I also planted spaghetti squash (I have two squash right now), butternut squash and yellow squash all in one bin. Since the plants are going over the side, there is room for everyone. When it comes to harvesting zucchini, the size of the squash is the main indicator that your crop is ready to be picked. If you let the zucchini get too big, the seeds will be large and the flesh won’t be quite as tender. However, large zucchini squash are still very edible and they taste almost as good. Additionally, if you continue to harvest the zucchini squash before they get too big, the plants will continue to produce more fruit. During their peak production time, it’s not uncommon to harvest zucchini several times a week. Zucchini is best harvested when the fruit is about 6 inches long. At this stage, the skin is still very tender and the seeds are quite small. If you intend to make stuffed zucchini or zucchini bread, you can let the squash grow a bit larger. 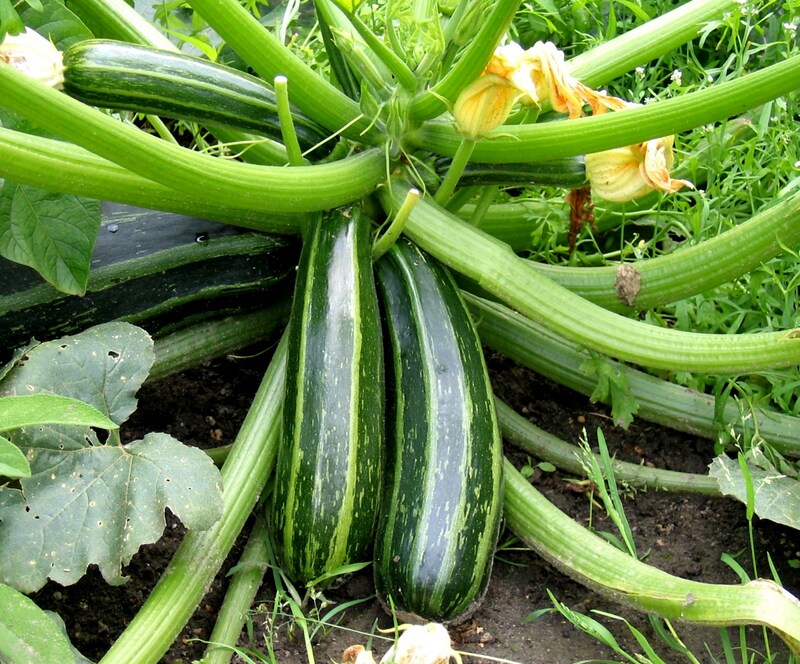 If left unharvested, zucchini squash will easily reach 2-3 feet long and 8-10 inches in diameter. When harvesting zucchini, use a knife or shears and cut the stem 1 inch above the squash. Do not try to pull or twist the squash off the vine as you will risk damaging the plant and root system. Remember, zucchini plants won’t tolerate root disturbance. Even the slightest tug on the plant could displace the roots enough that the plant will suffer greatly. 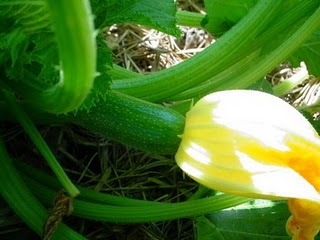 If you are interested in harvesting the zucchini blossoms, wait until the flowers have just started to open. They are the most tender and easiest to stuff at this stage. Again, use a knife or shears and cut the stem about an inch above the blossom. You can trim the stems later, before stuffing and cooking. Zucchini are best eaten within a few days of harvesting them. Because of their high water content, they don’t store well. They will stay fresh for 3-5 days in the refrigerator. If you have a bumper crop and have no other options, it’s possible to freeze zucchini. You can slice them and place in freezer bags in a freezer. They will keep for 2-3 months. You can also blanch them for 2 minutes in boiling water and then plunge them into an ice water bath for 2 minutes. They can then be frozen and will last up to 6 months. However, keep in mind when freezing zucchini that the quality will suffer. The texture will be slightly soggy and the taste will be diminished. Zucchini can also be pickled much like cucumbers. My favorite way to store extra zucchini is by making it into zucchini bread and then freezing that. Preheat oven to 450. In a large skillet, melt butter over medium heat; add zucchini, yellow squash, shallots, and garlic. Season with salt and pepper. Cook, stirring occasionally, until zucchini and squash are crisp-tender, 4 to 6 minutes. Add cream, and cook until thickened, about 5 minutes. Remove skillet from heat; stir in 1/2 cup panko and 1 cup Parmesan.